¡COMO MEXICO NO HAY DOS! The "Real Mexico" from transvestite wrestlers to machete-wielding naked farmers. History, culture, politics, economics, news and the general weirdness that usually floats down from the north. 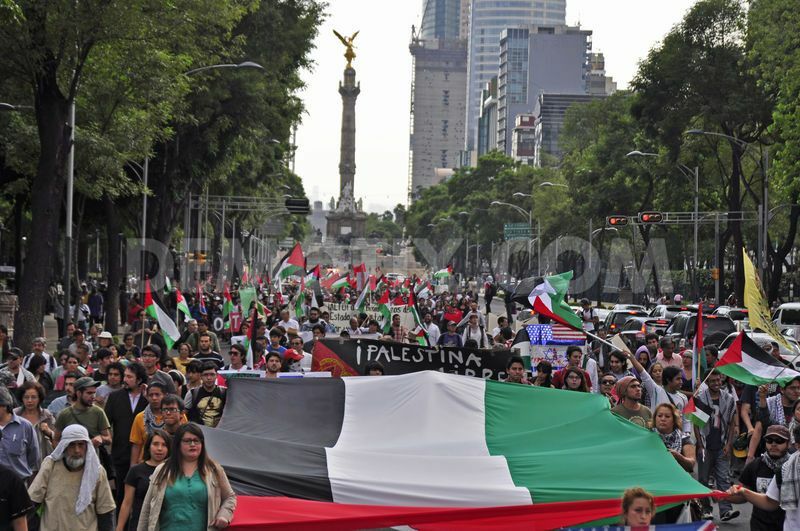 That Mexicans are speaking up in favor of the Palestinians, and calling for a break in relations with the State of Israel should be no suprise. This country has a honorable history of speaking up for the oppressed peoples of the world. In the League of Nations, it led a coalition of smaller and less powerful nations to, if nothing else, speak for the rights of nations like Ethiopia, Czechoslovakia and Austria which were being victimized by more powerful and militarility aggressive neighbors. 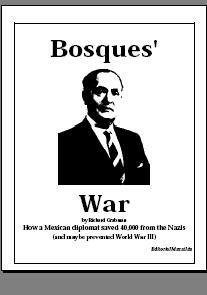 Unable to respond with anything more than words to Nazi Germany or Fascist Italy, Mexico’s only weapon was “moral force”. If nothing else, it would… and did… break relations with the agressors, and offer to provide a safe haven for those threatened by the agressors. Mexico, despite the historic anti-Semetism inherited from Spain*, has never been an “enemy” of Israel. Besides having provided the new nation of Israel with the artillery with which it defended itself in the 1948 War, a good number of Israelis owe their existence to Mexican generosity. This country accepted more Jewish refugees in the 1930s and 40s than the rest of the Allied Nations combined. And Mexican telenovelas are extremely popular in the Jewish state. Opening its doors to the Jews in the 30s and 40s had been made easier by its acceptance of former subjects of the Ottoman Empire a decade or two earlier … refugees from today’s Lebanon, Syria and Palestine.. Jews and “Libanos” are prominent in business, politics and the arts. That the nation’s most famous newscaster for many years, Jacobo Zubulowski, and the most prominent historian, Enrique Krauze, are from Polish-Jewish families goes unremarked, as does the Arab roots of businessman Carlos Slim and actress Salma Hayak. People in a nation that broke relations with Italy, Germany and Spain long before any of the wealthier nations would do so, that still has on its books the right to permanent residency for any person fleeing fascism, and never has forgotten that it lost half its territory to an aggressive foreign power (which wrapped its incursion in religious ideology and a “moral imperative” to expand its territory), are not likely to side with the bullies. * The late Shep Lenchek (The Jews in Mexico: A Struggle For Survival, MexConect, 2000) notes that anti-Semetism was more in word than in deed in Mexico, even during the era of the Inqusition. While most Jews in New Spain were “conversos”, there were observant Jews who were largely left alone, as long as rituals were conducted privately. The Mexfiles has never expected to turn a profit, but personal funds only go so far. Miscellaneous expenses (telephone, internet connection, subscriptions, spyware, hardware repair, etc.) run about 600 pesos (35 US$) a month, and donations are gratefully accepted. Please note that your donations are in Mexican Pesos (18 pesos to the US Dollar as of February 2019). A 25 US$ donation is 450 pesos. 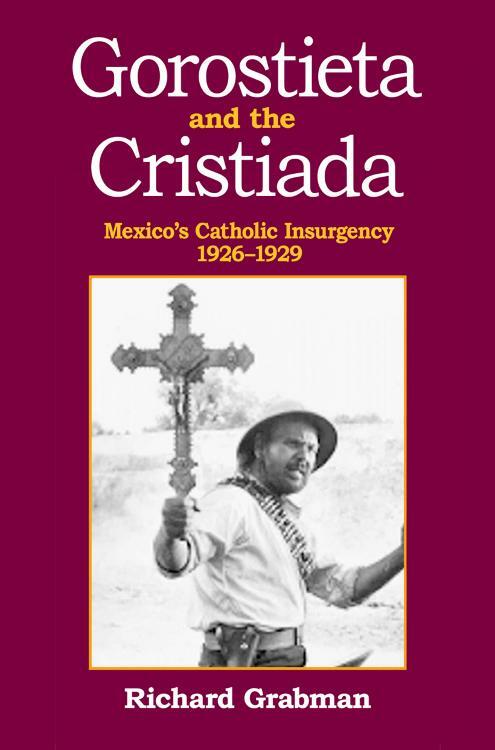 The background of Mexican anti-clericalism and the "atheist" general who led the Catholic counter-revolution of the 1920s 128 pp., Editorial Mazatlán, 2012. Fulton J. Sheen versus the Mexican Nazis… WHAT??? While "The Mex Files" authorizes and encourages non-commercial use, such use must include a link including the words "Mex Files" hyperlinked to either "https://mexfiles.wordpress.com" or "http://mexfiles.net". Printed material must reference the original post. Non-commercial re-publication is allowed for copyrighted material, provided it is "fair use" as defined in 17 USC § 107.